How about a little random cuteness for your Thursday? Yes, that sounds good. 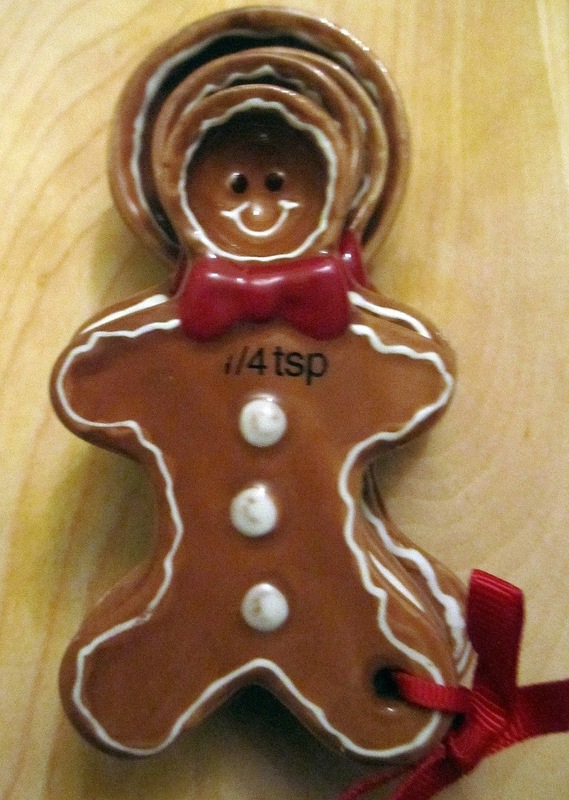 I will admit, I have a crush on the Gingerbread Man. 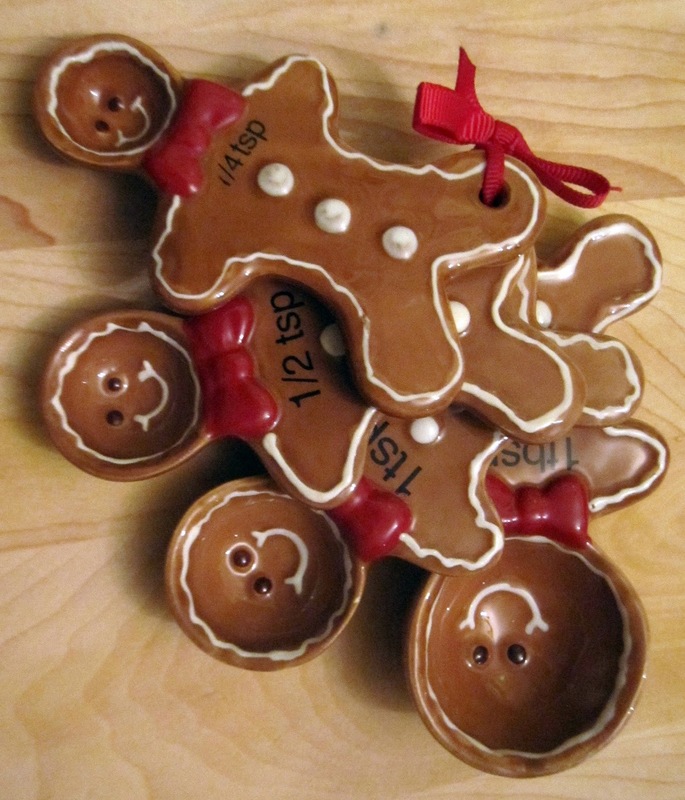 I've got him in all forms - oven mitt, cookies, spatula, and now: Measuring spoons! After my mom stopped squealing with delight as she found them in Pier One, she bought several pairs to gift. Of course she couldn't wait until Christmas, and I have these in my kitchen right now. HOW CUTE ARE THESE GUYS? They have those little mischievous smiles.... Gingerbread Man, I heart you. If you would like your own set, you can buy them HERE from Pier One. Next up is another adorable baking tool, this time from my mother-in-law, Susan. 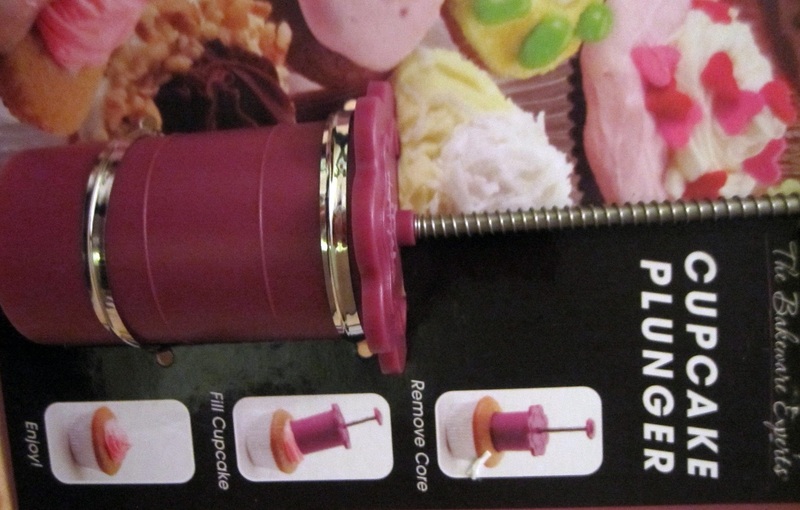 For my birthday, Susan gave me a bag full of kitchen goodies, including this cupcake plunger below! 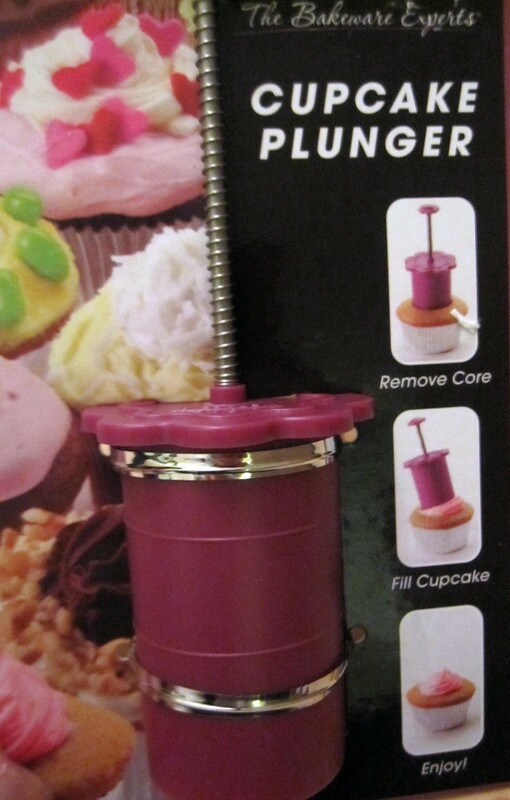 Have you ever wondered how to make filled cupcakes? Well this is how! I can't wait to use it! 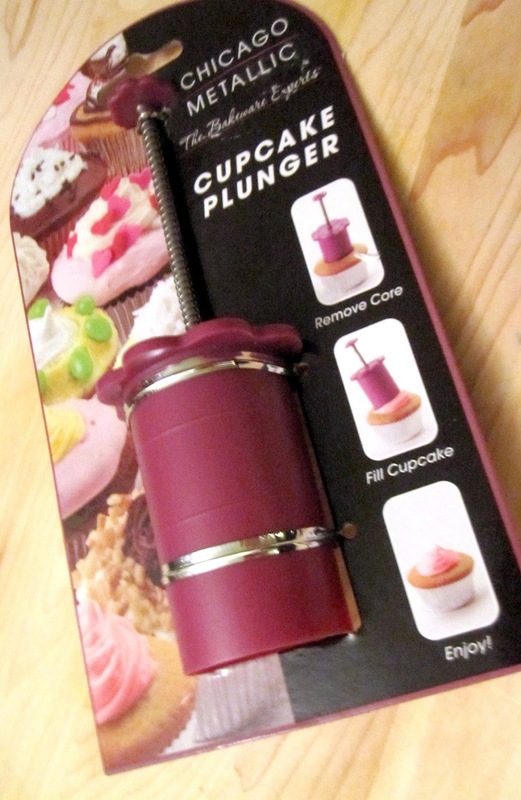 If you have a great filled cupcake recipe, please share! 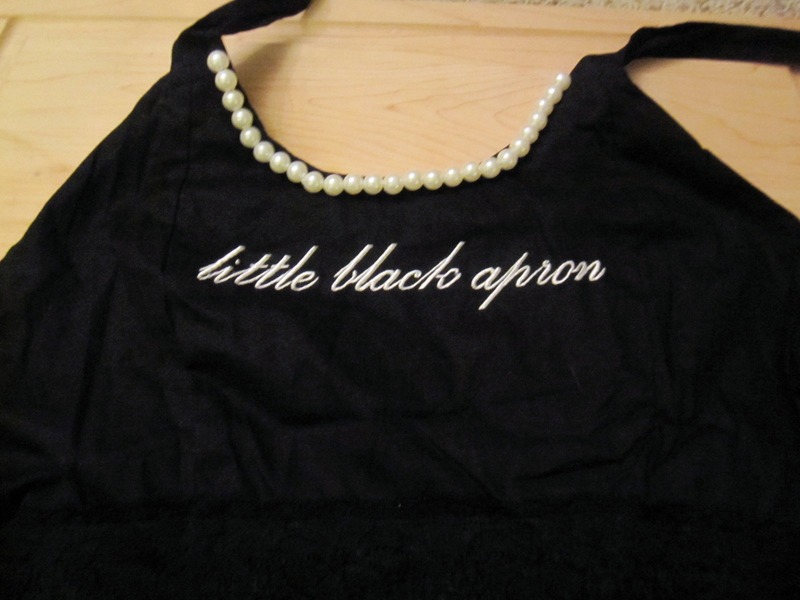 Also in my bag of kitchen goodies from Susan was this FABULOUS apron. I must say, I got so many wonderful birthday gifts, but this is my absolute favorite! It's a LITTLE BLACK APRON!! Like a Little Black Dress, but an apron? I die! 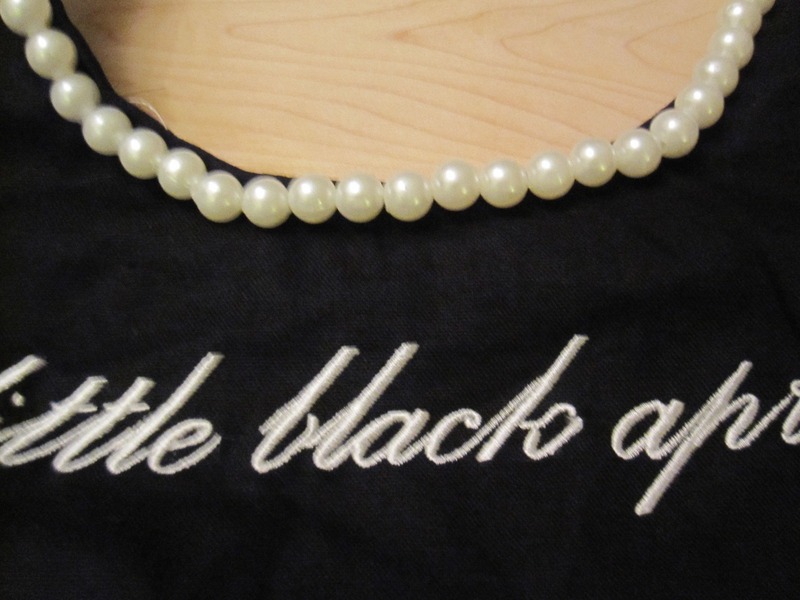 There is a built in pearl necklace... an an APRON! Yes please. LOVE LOVE LOVE! Who says you can't be fashionable in the kitchen? Susan is really on a roll lately, remember my Blogging ornament? Thanks Sus!! And finally, the ultimate cuteness, my niece Brooke. I took her and her stuffed elephant to Target the other day. 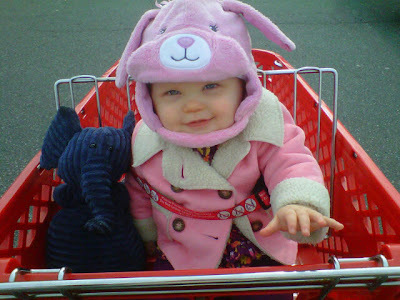 She was sporting this fabulous rabbit hat from Grandpa Art. Another random cuteness? The corduroy elephant's name? Cordy Roy!! STOP IT! Target + Brookie = my happy place. Oh how sweet is you neice!!!! LOVE that hat, so cute!! SO cute!!! Found you through Bon Bon Rose Girls and I love all your ideas! 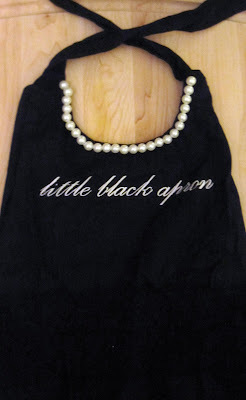 Clicked on over from the Bon bon rose girls and I must say your blog is ADORABLE. 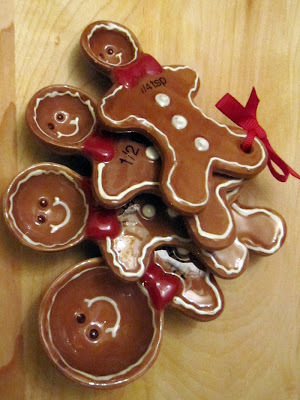 Love the gingerbread men. I NEED those gingerbread men! You have a surprise over at our blog lady! One of my favorite filled cupcake recipes is to fill yellow cupcakes with nutella...trust me, its delicious!